Tackle winter like a pro in the Sorel Winter Carnival. 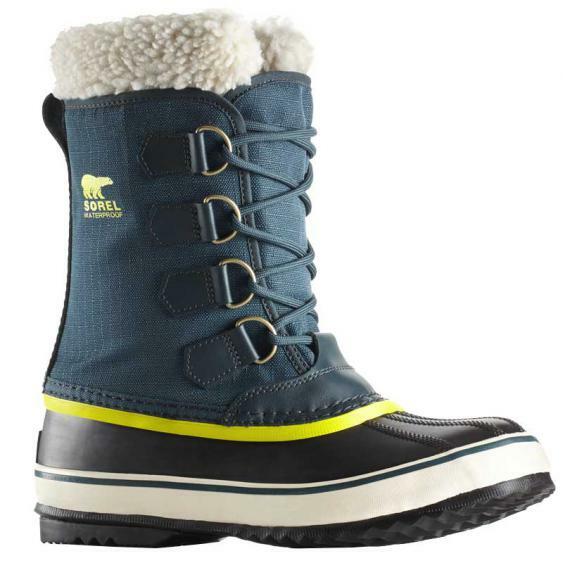 With a waterproof nylon upper and a Sherpa Pile snow cuff, your feet will stay plenty warm. This cuff keeps out specks of snow and debris and adds additional warmth. The Winter Carnival also has a seam-sealed construction to create a barrier between your feet and the cold. The lace up design makes for on/off ease and creates a secure fit. Inside, there is a 6mm recycled felt liner. This liner is removable and washable. The shell of the Winter Carnival is made of a vulcanized rubber which maintains flexibility even in the coldest of temperatures. The outsole features a herringbone design for traction and grip on slippery winter surfaces. Be prepared this winter in the lightweight and comfy Sorel Winter Carnival.